The strong presence in the Siderurgic industry , the willingness to listen to customer needs, the necessity to make the companies have economic advantadges and increasing the production, brought Itipack to research and develop new products in the market. ITIPACK team studied the way to use robots and develop the Destrapper machine. What is a destrapper? It is an automatic band removal machines, designed for the safe cut and removal of straps from steel coils. 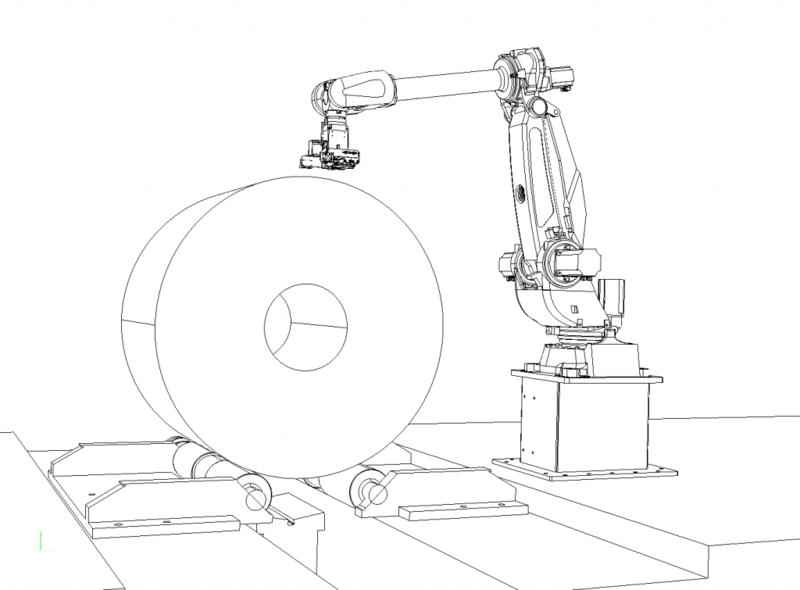 On a robot is mounted a special head that automatically detected, cut, removed and bring to the winder the strap. Our machines can be project and integrated to satisfy each customer situation and demand. © 2016 Itipack – all rights reserved.